Calling all riders in or near Chester County, PA! Join us for great rides on Pennsylvania's beautiful roads! All makes/ models/ experience levels are welcome! We keep it easy going and fun! No dues or mandatory rides. No BS. Joining the group is completely free and very easy. Just click the link here or the logo to the right to go to our group page on Meetup.com. All you have to provide is your e-mail address. And don't miss our group video and gear below! T-shirts, mugs, dog bowls, you name it! 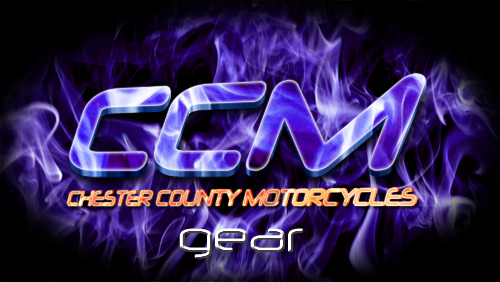 Buy your Chester County Motorcycles gear by clicking on the logo on the left or click here.